‘For every pound invested in the Talking Mats Keeping Safe resource and training there is a potential saving to services of £23.00’ .This was the findings of a cost benefit analysis carried out during the development phase of the Keeping Safe Talking Mat resource. 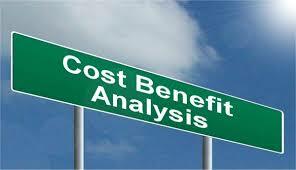 A Cost-benefit analysis demonstrates the overall economic value of an intervention with numbers and evidence. A listening space for people with learning disability and communication difficulties to raise concerns and express their point of view. A structure for staff to find out what people are thinking about their lives, and raise issues that can be difficult to discuss. There is a significant financial advantage to services using Talking Mats. Analysis of six scenarios found that for each pound invested in the Keeping Safe training there is a potential saving to public services of £23.00. In learning disability services it is easy for costs to accelerate quickly. If services don’t respond effectively, challenging behaviours can escalate and relationships and placements are at increased risk of breakdown. 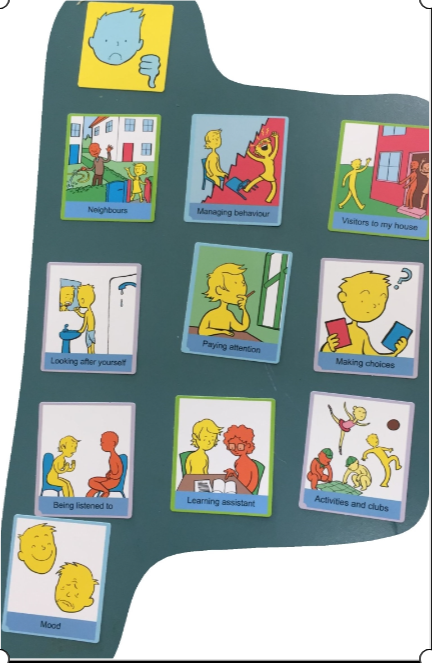 Talking Mats can help provide staff with a comprehensive and accessible framework to help them listen to people who can find it difficult to articulate what is really going on for them e.g. issues of pain, relationships or levels of support. In this project 89% of Talking Mats resulted in staff learning new information about the person they were working with, even when they thought they knew them well. The Talking Mats framework provides a way to turn these points of views into actions that can be monitored and reviewed. It is these early interventions that not only save money but improve quality of life. With support from Inspiring Scotland a cost benefit analysis was done that examined the cost of the Talking Mats intervention and any resulting actions. 6 cases were chosen from over 100 detailed descriptions of how practitioners working with people with learning disabilities had used the resource. These descriptions represented a cross spectrum of people with learning disabilities in Scotland in terms of living situations e.g. living at home , in supported settings and an inpatients facility . They were also chosen to represent the comorbid conditions that often exist with learning disability e.g. autism, mental health and cerebral palsy. An alternative scenario was created and tested with critical friends as to the likelihood of what might have happened without the Talking Mats intervention. All the scenarios that were developed are available here 20180110 scenarios cost benefit The primary source of financial information and the subsequent calculations was the Unit Costs of Health and Social Care produced by the Personal Social Services Research Unit (PSSRU) 2015/16 . This contains detailed cost estimates for a range of services such as care placements, NHS services, social work, mental health, and family interventions. This analysis can only be illustrative as assumptions are subjective. The findings from our final report 160512 Keeping Safe report 2013-2016 showed that effective use of the resource not only led to improvements to quality of life for individuals but that it can save services money. 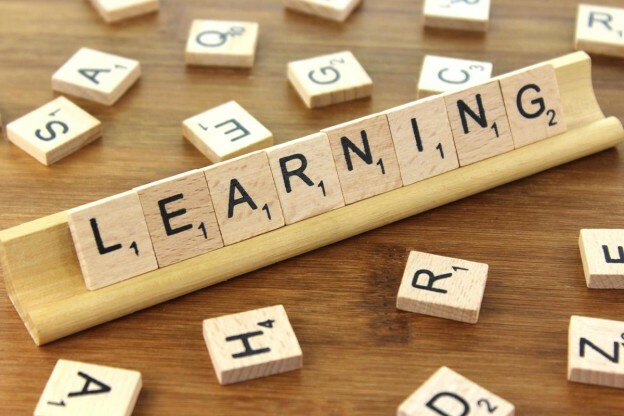 Book a place on our webinar and get the Keeping Safe resource 20180122 Keeping Safe Webinar or if face to face discussion is more your thing attend the advanced course in April 2018 – you get the resource with that booking too! This entry was posted in Blog, Communication difficulties, Learning disability, Safeguarding and tagged Abuse, accessible information, Communication difficulties, Learning Disability, safeguarding, Talking Mats on January 25, 2018 by Lois Cameron. This new resource has been developed by Strathcarron Hospice and Talking Mats to help people with advanced illness or long term conditions to think ahead and plan for the future. It can sometimes be difficult for people to start conversations about planning for end of life and people this is exacerbated if people have specific difficulties communicating their thoughts and feelings because of symptoms, fatigue and emotional factors. Before initiating this type of conversation it can be helpful to check the extent of a person’s understanding of their illness and whether or not they want to talk about the future. The importance of having conversations and making plans for end of life has been highlighted as being relevant for people in the early stages of life limiting illness as well as for those nearing the end of life. There is evidence that people who have Advance or Anticipatory Care Plans in place are more likely to receive the care that they want and treatment can be less invasive. ACP is a process rather than a one-off conversation. It is acknowledged that ACP discussions should take place in appropriate settings with sufficient time to enable to people to consider and weigh up different options. ACP should also be developed in line with peoples’ personal values and goals (Sinuff Tasnim, et al. (2015) “Improving end-of-life communication and decision making: the development of a conceptual framework and quality indicators.” Journal of pain and symptom management 49.6 2015): 1070-1080). Perhaps we should think about planning ahead whether or not we have advanced illness or long term conditions?? Please contact us at 01786 479511 if you are interested in future dates. This entry was posted in Advance Care Planning, Blog, hospice, Training and tagged Advance Care Planning, Communication difficulties, Hospice, Talking Mats, Training on January 19, 2018 by Joan Murphy. 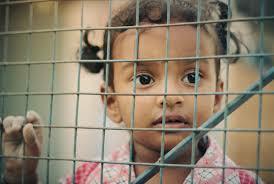 Supporting families involved in the criminal justice system. Sally Kedge, Speech and Language Therapist from Trouble Talking New Zealand shares two powerful case examples of using Talking Mats with children and families caught up in the criminal justice system. This week it was hot in New Zealand, so I sat under a tree in a school playground in the shade with an eight-year-old girl to do a Talking Mat. I’m a speech-language therapist engaged by the child protection agency who have guardianship of her. This doesn’t happen that often in NZ but the team involved with this girl and her brother realised that as well as dissociative behaviour related to the impact of trauma due to family violence exposure, there was also significant difficulty with language acquisition for both children. The mix of a trauma history and a language disorder was resulting in significant difficulty expressing emotions and explaining what had happened when behavioural outbursts happened. Some of my work with this child has been to help the team understand how her language profiles impacts on her life, and to develop her language skills at school via a programme she carries out with a teacher-aide and a friend. My role has also involved helping her understand her own life story and to equip her to process this, as it hasn’t been a pretty ride so far. At a multidisciplinary planning meeting for her and her sibling recently, the team were concerned to make sure the children had accurate information about when their father was going to be released from prison. Their mother has recently been released too but no one knows where she is currently. I suggested a Talking Mat might help us to find out what she knows at the moment about her parents and how she felt about the next few months, as there are likely to be some changes happening in her world. We wanted to give her accurate information so she didn’t need to fill in the gaps herself. Using a Talking Mat helped me establish that currently this child feels many things in life are going well. This is good progress. However, we identified a few things that she felt were not going that well at school (‘in the middle’) and I was then able to talk to her teachers about preparing for the new school year starting in February. We figured out that she is looking forward to seeing her dad but doesn’t know when she will see him or where he is going. A conversation with her Social Worker and the drug rehabilitation residence has allowed me to put together some visuals and a timetable to show what is going to happen next. Dad can have these as well as her carer and others in her team. Another child with a similar history also did a Talking Mat with me last week. My purpose was to help the team find out how he feels his current care situation is going. A very mixed picture emerged with some concerning cards placed in ‘not going well’. I asked the boy at the end if he knew anyone who could help him with those things and he said, ‘no one’. I was able to explain that I am one of the adults who need to figure out how to make life easier for him and I would talk to some other adults and come back to see him. The photo I took of the Talking Mat allowed me to follow up with the team and I took the photo back to the boy to explore further some of the ‘not going well’ cards. At this second visit, this boy initially did not want to speak at all, but he engaged fully in looking at the photo of the Talking Mat with me. We used a scale of 1 – 5 (how much of a problem is this for you – 1 = not much, = 5 = really really bad) on a piece of paper that he could mark with a pen to explore the ‘not going well’ items in the photo. He picked out ‘mood’, ‘people coming to his house’ and ‘learning at school’ as ‘really really bad’. We agreed that these needed to get sorted out for him to make life easier and we agreed who I could talk to about these things. Once we got that agreed and written down, he initiated some conversation about less heavy topics and started playing. I’m now following up with the team. Easier said than done, but without the Talking Mat I don’t think we would have got his views so clearly. – and in our own speech-language therapy assessments and interventions. The social workers, paediatricians, teachers, lawyers and others we work with have also been excited about exploring how Talking Mats can assist in these contexts. We’re looking forward to more training from the Talking Mats team next year. Come and hear Sally speak at our Criminal Justice Seminar on the 17th of April 2018. Contact info@talkingmats.com for more information. This entry was posted in Blog, Child protection, Children and young people, Communication difficulties, Criminal justice, Participation, Personalisation, Safeguarding on January 5, 2018 by Margo Mackay.